Styled by the courtesy title Marquess of Blandford from birth, he was the eldest son of Charles Spencer, 3rd Duke of Marlborough, and the Honourable Elizabeth Trevor, daughter of Thomas Trevor, 2nd Baron Trevor. He was the brother of Lord Charles Spencer, Lady Diana Spencer and Lady Elizabeth Spencer. He was educated at Eton. Marlborough entered the Coldstream Guards in 1755 as an Ensign, becoming a Captain with the 20th Regiment of Foot the following year. After inheriting the dukedom in 1758, Marlborough took his seat in the House of Lords in 1760, becoming Lord-Lieutenant of Oxfordshire in that same year. The following year, he bore the sceptre with the cross at the coronation of George III. In 1762, he was made Lord Chamberlain as well as a Privy Counsellor, and after a year resigned this appointment to become Lord Privy Seal, a post he held until 1765. An amateur astronomer, he built a private observatory at his residence, Blenheim Palace. He kept up a lively scientific correspondence with Hans Count von Brühl, another aristocratic dilettante in astronomy. 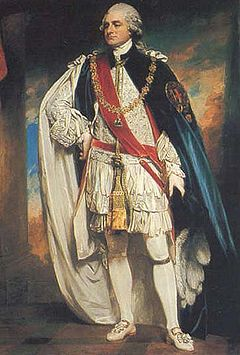 The Duke was made a Knight of the Garter in 1768, and was elected to the Royal Society in 1786. Lady Charlotte Spencer, married Rev. Edward Nares and had issue. Lady Anne Spencer, married Cropley Ashley-Cooper, 6th Earl of Shaftesbury and had issue. Lady Amelia Spencer, married Henry Pytches Boyce. Lord Francis Almeric Spencer, created Baron Churchill in 1815. The Duchess of Marlborough died at Blenheim Palace in November 1811, aged 68. The Duke of Marlborough died at Blenheim Palace in January 1817, aged 78, and was buried there.